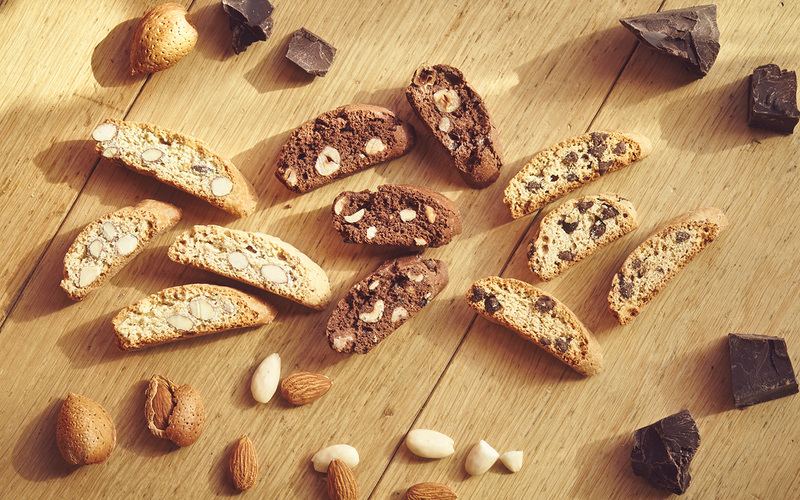 All the goodness of Cantuccini biscuits in a little treasure chest, with three varieties ranging from classic almond, to chocolate chip, to cantuccino with hazelnuts and chocolate. 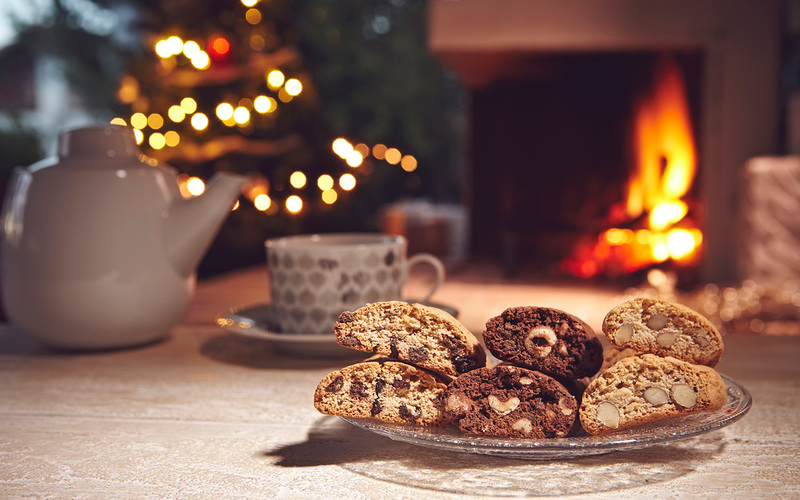 Bring a breath of joy to the coffee break or an always-welcome thought to be enjoyed any time. 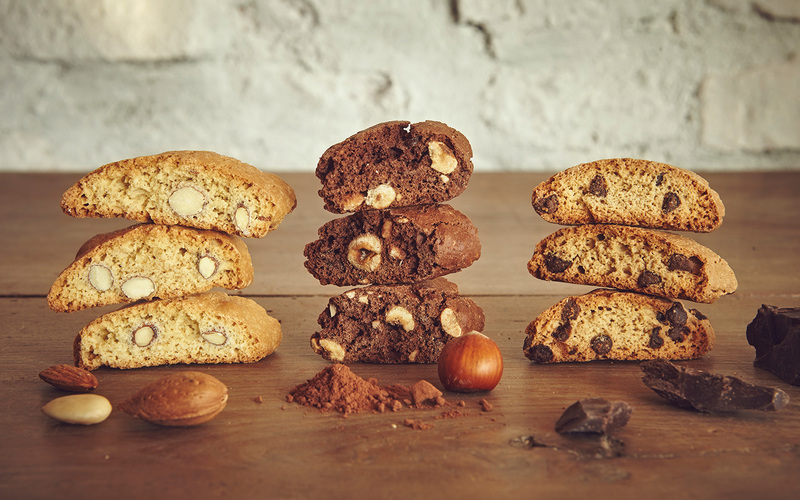 Wheat flour, sugar, toasted hazelnuts 19%, dark chocolate drops 7% (sugar, cocoa paste, cocoa butter, emulsifier: soy lecithin, aroma), egg yolk 4.3%, eggs 4, 3%, whole fresh pasteurized milk 3,7%, butter, cocoa powder 2%, chocolate powder 1,5% (cocoa powder, cocoa powdered, cocoa paste, sugar), honey 0.9% , raising agents: disodium diphosphate – sodium hydrogen carbonate, salt. May contain other nuts.